Home / Chapter News / Our Challenge to all Sigma Phi Omega Chapters – Walk to End Alzheimer’s! Our Challenge to all Sigma Phi Omega Chapters – Walk to End Alzheimer’s! 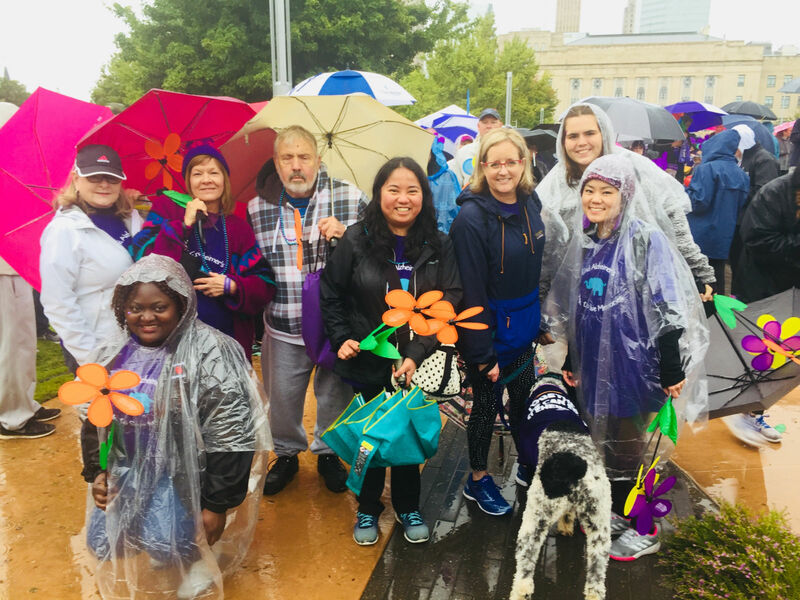 This last Saturday, October 13, 2018, our chapter gathered to participate in the Oklahoma City, Oklahoma Alzheimer’s Walk! We also donated $500! We challenge all Sigma Phi Omega Chapters to get involved and participate as well! Donate to the very worthy cause of finding a cure for Alzheimer’s disease. Check out https://www.alz.org/ and find your walk now!